Dr. Kato is the founder and CEO of Kimochi Lab, Inc. Japan. The company does neuromarketing and neuroconsulting while serving as bride between the industry and academia by collaborating with various fields of companies for establishing the neuromarketing industry. 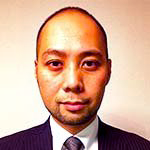 He has unique background such as 3 year’s neuromarketing experiences as director at Nielsen Neurofocus and the CEO at Kimochi Lab, Inc. and over 10 years’ research experiences in neuroscience, such as exploring decision-making mechanism and developing brain-machine/ computer interface technologies. He is also currently serving as a member of an investigative committee of neural engineering, an adviser to establish psychological and mental health business consortium with Dentsu Inc., and an analyst in Japan marketing literacy association.